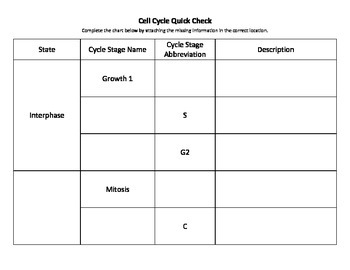 This pack of quick assessments and project ideas covers the topics of the cell cycle, mitosis, cancer, and stem cell research. 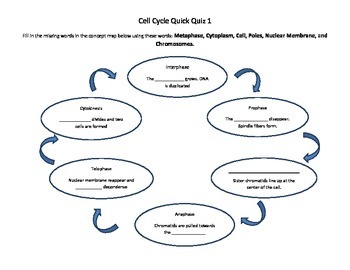 Packet includes cell cycle matching activities, fill-in pages, matching, unit project ideas, writing prompts, and poster project ideas. 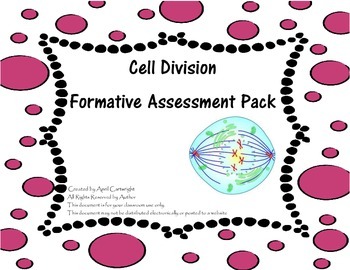 Check out the preview to see the variety of activities included in this bundle! 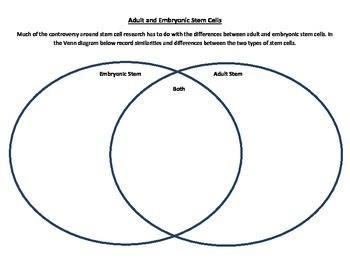 Answer keys and teaching tips are included.